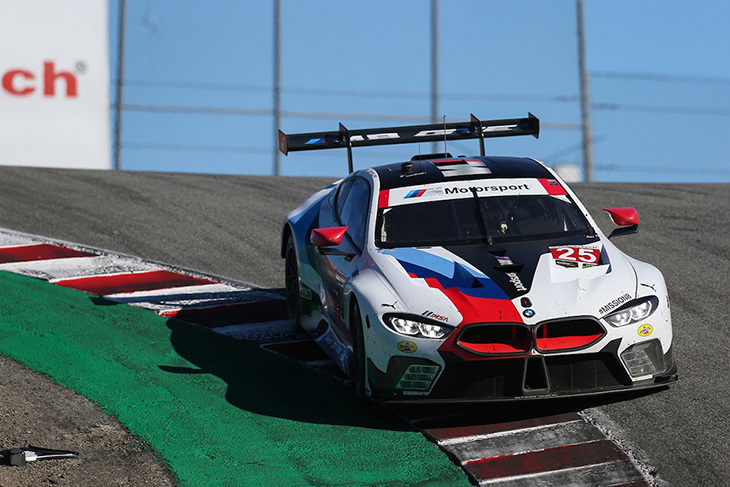 The IMSA Weathertech SportsCar Championship’s trip to the coast of California and the Weathertech Raceway Laguna Seca was a thrilling outing that featured as many undulations as the track itself. 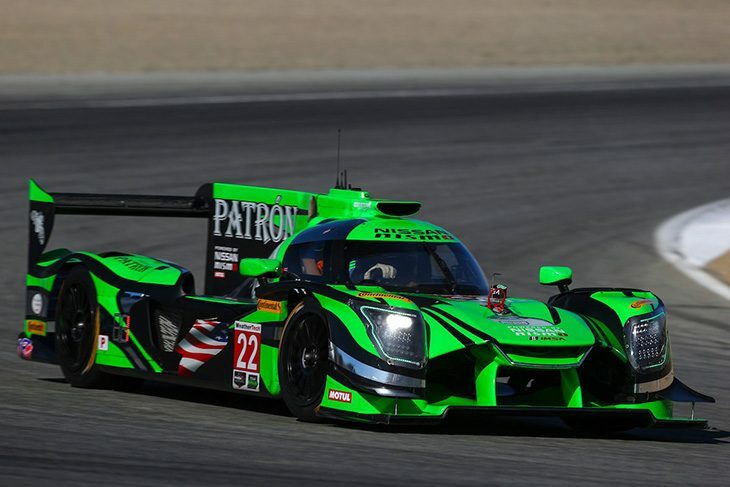 For Prototype, no one could match the late race pace of the #22 Tequila Patron Extreme Speed Motorsports Nissan DPi of Pipo Derani and Johannes Van Overbeek who claimed victory. Derani, who announced earlier this week that he would be joining Action Express next season, moved the #22 ESM Nissan up from the middle of the Prototype pack. He would get past Juan Pablo-Montoya on the track, before leap-frogging the #31 Whelen Engineering Cadillac DPi-V.R in the pits. Now in second Derani set his sights onto Harry Tincknell in the #55 Mazda Team Joest RT24-P. Drama though would soon befall the leading car after Tincknell made contact with the #52 AFS/PR1 Mathiasen Oreca 07 when trying to lap the Prototype in Turn Five. Tincknell spun around and would drop back to sixth in class. Race control reviewed the incident and ruled no action needed to be taken. Second in class after a late-race battle was the #54 CORE Autosport Oreca with Colin Braun and Jon Bennett. Braun had chased down the #7 Acura Team Penske ARX-05 with Helio Castroneves and Ricky Taylor but struggled to get passed the DPi. In the end, Braun’s second place was handed to him after Taylor made contact with a GT Daytona car which resulted in broken suspension in the race’s final three minutes. Completing the podium was the #6 Acura Team Penske ARX-05 of Juan Pablo-Montoya and Dane Cameron. 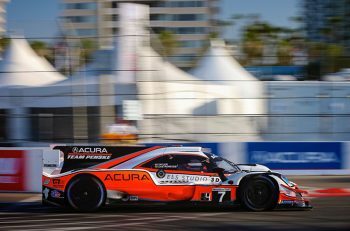 Montoya’s very close battle with the sister-car in the #7 Acura in the race’s second-half was the most notable part of that car’s day. That battle is part of what allowed Colin Braun to move through to what would later become second. The action did not wait until the end of the race however with the first Full Course Yellow coming before most cars could start their first lap. An accordion effect in the Prototype field resulted in contact between the #99 JDC-Miller Motorsports Oreca 07 and the #5 Mustang Sampling Cadillac DPi-V.R. 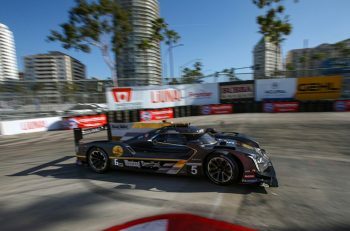 Misha Goikhberg tapped the back of the #5 Cadillac DPi, that had Joao Barbosa on board. This sent the #5 Cadillac into the middle of the GT Le Mans pack where both the #66 Ford GT and the #911 Porsche 911 RSR were left with nowhere to go. The resulting damage would end the day for all three cars involved. The #66 Ford would be repaired to complete just one lap in order to get ahead of the #911 Porsche in the results for championship point purposes. In GTLM BMW Team Rahal Letterman Lanigan made it two wins in two races for the #25 BMW M8 GTE with Connor De Phillippi and Alexander Sims. Fuel saving ended up being the deciding factor and even prevented a BMW 1-2 after the #24 M8 GTE needed a splash-and-dash to make it to the end. Second in the class was the #912 Porsche 911 RSR with Laurens Vanthoor and Earl Bamber who had a very quiet race that saw them end with a podium that they will undoubtedly be pleased with. Corvette would finish third with the GTLM championship still in the hands of the #3 Corvette C7.R of Antonia Garcia and Jan Magnussen. That car holds onto a nine-point lead over the #67 Ford GT going into the final round at Petit Le Mans. For Ford, it was a day to forget at the track that saw them score their first win in their GT in 2016. The #66 Ford’s day ending with the aforementioned lap one contact, and the #67 Ford retiring later in the race after a broken steering arm caused by contact with the #4 Corvette C7.R while battling for position. 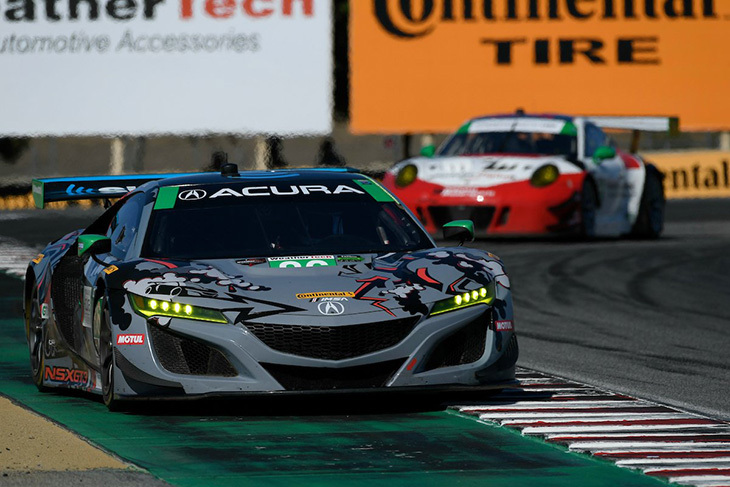 In GTD the championship moved ever closer with the #86 Meyer Shank Racing Acura NSX securing a win from pole position. That finish now moves Katherine Legge to six points of the #48 Paul Miller Racing Lamborghini pairing of Bryan Sellers and Madison Snow. The #48 Lamborghini Huracan ending the day in fourth in class. Second in GTD after falling just short on fuel was the #73 Park Place Porsche 911 GT3 R of Joerg Bergmeister and Patrick Lindsey. That car looked poised for a win until a splash-and-dash beckoned that car in from the lead of the race. Bergmeister still bringing home a second place for that car. Rounding out the GTD podium was the #33 Team Riley Mercedes AMG GT3 with Jeroen Bleekemolen and Ben Keating who battled extremely worn tires and the #48 Lamborghini to secure some trophies for that team. By the end of the day, seven cars had retired from the race. The aforementioned Fords, the #911 Porsche and #5 Cadillac DPi both in the lap one incident. The #10 Wayne Taylor Racing Cadillac DPI.V.R with a gearbox issue. Finally, the #96 Turner Motorsports BMW M6 GT3 and the #93 Meyer Shank Racing Acura NSX GT3 both retired as a result of contact early in the race. The #96 BMW was not retired immediately, however, only after the initial contact had damaged a transmission cooler later in the race. The IMSA Weathertech Sports Car Championship now heads to Road Atlanta and Petit Le Mans for the final race of the season.